Billionaires are taking to space the way wistful young men take to the sea in 19th Century novels. 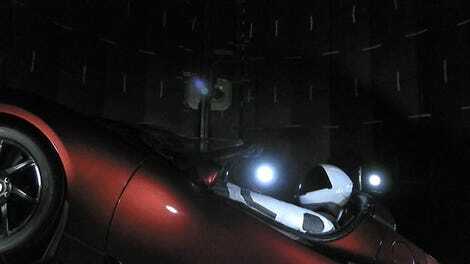 Last week, Elon Musk launched his Tesla Roadster at the astroid belt using the world’s most powerful rocket currently in operation. Not to be outdone, Microsoft’s co-founder Paul Allen also has a big plan (and a big plane) for going to space. In December of last year, the Stratolaunch performed its first taxi at the Mojave Air & Space Port in Mojave, CA. While that doesn’t seem terribly exciting, it’s the first step to getting the Stratolaunch, the world’s largest plane ever (via wingspan) into the air. At 385 feet, the Stratolaunch’s wing span is larger than a football field. It’s as tall as a four story building, comes with six turbo jet engines, uses 28-wheel landing gear, and is designed to carry a 500,000 lbs. payload 35,000 feet into the stratosphere. What’s the point of launching a rocket from all the way up there, you ask? Time of another thrilling physics lesson. While figuring out why the Falcon Heavy rocket’s acceleration rate is slower than a Bugatti Chiron’s, we turned to the Tsiolkovsky rocket equation. This is what rocket scientists use to figure out how much fuel is needed to get a payload into orbit. It takes a lot of work to get a payload off of the ground, and often adding more fuel, means more weight, which means adding more fuel. The Stratolaunch can effectively be considered a reusable first stage for space flight. That’s much like the Falcon-9 rockets Musk uses, only the Stratolaunch is a plane, is piloted by people, not computers, and uses a landing strip rather than shooting straight at the sky and land on landing pads. Using a plane that uses air-breathing engines, optimized for lower altitudes, allows rocket designers to optimize the rocket engine for higher altitudes and lets you launch more mass into orbit for less fuel. It’s also safer. SpaceX has lost multiple Falcon-9s, and the rockets are still not perfect. Planes, in general, have a better record of returning safely, which also helps cut down costs. It also makes it possible for the Stratolaunch to carry multiple payloads to multiple orbits and inclinations in a single mission. 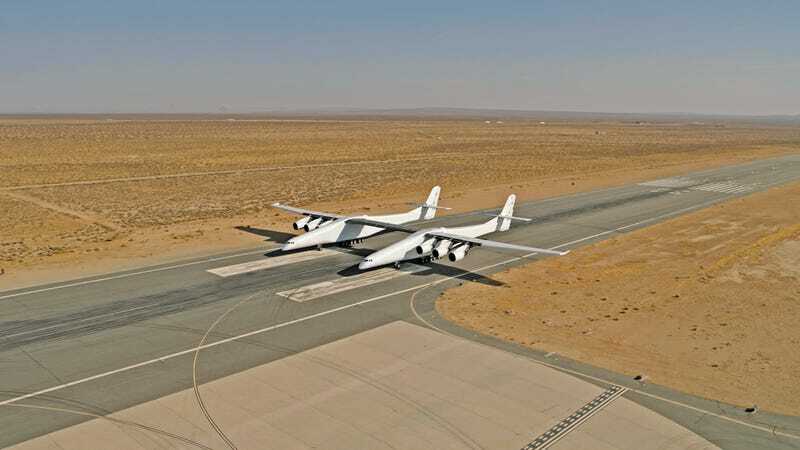 Initially Stratolaunch will only carry one Pegasus XL rocket, but some day will be able to lift three of those puppies at once, where they will then launch into low-Earth orbit. At least, in theory anyway. The Stratolaunch is still busy doing on-the-ground tests and checks before making its maiden voyage. The Stratolaunch team are aiming for sometime in 2019 to get this bird to fly.